If there’s one story I just cannot get enough of then it has to be the ‘Kiss Series’. The story may not be ideal to follow but there is something about it that makes it so likable. Despite several flaws I just didn’t want to stop watching it. I first saw the Korean version named ‘Playful Kiss’. The story was so unique that I wanted to see more of it. So, not only did I see its two Japanese drama versions, Itazura Na Kiss (1996 and 2013) but I also saw its animated series (2008) and the Taiwanese version (2005) named ‘It Started With A Kiss’ (yes I made time for these shows because I was surprisingly in ‘love’ with the story). Silly, simple, and sweet, that’s how I would describe the main plot. This teenage love story is so endearing that I overlooked its shortcomings and just sat back and enjoyed all the versions. Initially, I really hated the female lead for lacking self-respect. She would easily digest all the insult directed at her only because she was obsessed with the boy. I found it hard to relate to. I couldn’t understand her liking for him even when he is so arrogant and downright rude to her. I hated the way he spoke to her and mocked her naivety (actually stupidity). But then I decided to watch the show purely for its entertainment value and not for any kind of message or learning. And that’s when I started enjoying the show. The story is unique with distinctive characters having exceptional ambitions in life (this one is for the female lead). When I saw Playful Kiss, I was really curious to know how the story would progress. I know that the hero always gets the girl in the end but with the kind of protagonists the story had, I just couldn’t guess what he would do next. My curiosity led me to watch the complete series. But somehow my curiosity didn’t end there (as mentioned before I have watched all of its adaptations). Itazura Na Kiss is a Japanese manga about a girl named Kotoko Aihara, one of the dumbest students in her class, who falls in love with a handsome and genius boy named Naoki Irie. She confesses her love to Naoki Irie only to be humiliated and turned down by him. She becomes famous in school as the ‘girl who was turned down by Naoki Irie. In a twist of fate, Kotoko finds herself living under the same roof as Naoki and takes that as a sign from the universe that she is meant to be with him. Despite all the chaos that Kotoko causes in Naoki’s life he starts developing feelings for her and eventually falls in love with her. Now let’s weigh the different versions of the same plot and see which one is the best for you. Since, Korean adaptation, Playful Kiss was the first version I saw I will start with it first. In this version, Naoki Irie is known as Baek Seung Jo played by actor Kim Hyun Joong and Kotoko Aihara is known as Oh Ha Ni played by actress Jung So Min. The male lead i.e. Baek Seung Jo was the most handsome of all the versions. So the fact that girls swoon over him in the show was believable because he is indeed good-looking. Oh Ha Ni is cute and easy to love. She played her character well and hardly over-acted, unlike the other actresses. Yoon He Ra played by Lee Si-young was the best rival for Oh Ha Ni because feeling envious of someone so stunning seemed justified. Baek Seung Jo’s mother played by Jung Hye-Young was the best mother of all the three versions. She was the best at playing the effervescent mother of a robotic son. The short 7 webisodes on YouTube were much better than the actual show. I simply loved every episode and got to see some good chemistry between the two characters. The screenplay for a plot like this was rather weak. Some scenarios made no sense. For example, Baek Seung Jo’s mother is so excited about Ha Ni living with them that she decides to spy by going to her school and secretly clicking her photo. What was the need? I know she must have been too excited but this did not add to the story or even to the character in any way. Kim Hyun Joong (Baek Seung Jo) is slightly weak in acting. Here he had to play a human robot and emote less so the ‘the walking sculptor’ (a nickname given to Kim Hyun Joong by his fans) was the best choice for it but still he looked a little disconnected from the character. The show is only 16 episodes long so it had to compromise on a few aspects (example Oh Ha Ni’s relationship with her father) of the story which affected the flow and confused me at times. Playful Kiss may have bad weights but I thoroughly enjoyed watching it. Moreover, it is the good impression of this show that compelled me to watch the other versions. I give this show 3.5 out of 5 rating. If you want to indulge in some mindless yet endearing romance but do not have a lot of time, then Playful Kiss can be your pick. There are 3 Japanese versions of Itazura Na Kiss. The first one was a television drama, with the same title, that came in 1996 and was only 9 episodes long. It was a weak drama and barely captured the main elements of Kotoko and Naoki’s love story, which is why it is the least popular of all the versions. The next was 25 episodes long anime series released in 2008. I am not an anime lover so this series hardly appealed to me. Mischievous Kiss: Love In Tokyo is the latest drama version of Itazura Na Kiss released in 2013. It was a huge success in Japan and China. 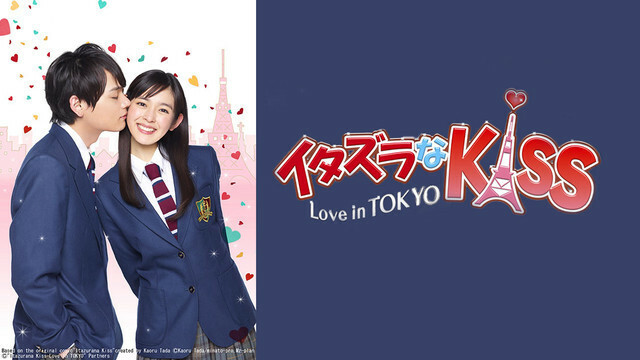 Naoki Irie was played by actor Yuki Furukawa and Kotoko Aihara was played by actress Honoka Miki. The show also has a sequel titled Mischievous Kiss 2: Love in Okinawa focusing on Kotoko and Naoki’s life after marriage. I have seen both the seasons and was mighty impressed by it. The Japanese version is less conservative as compared to its Korean counterpart and it seemed to have filled in all the gaps left in any of the previous adaptations. Kotoko of this series was the cutest. She did overact a lot and pout excessively throughout the series but I felt that her over-acting was a part of the character’s vivacious nature. The plot was handled better than the other versions. That could be because its makers must have studied the previous versions and must have worked on their shortcomings making it more suitable for the audience. All the parallel tracks were tackled smoothly. Every character on the show was well written. Every relationship developed at its own pace and was effectively shown. This was a series where Kotoko’s father finally played some role in her life. In fact, this is the series where her father is most concerned about his daughter. The screenplay of the show was strong, and scenarios did not seem forced on the characters. 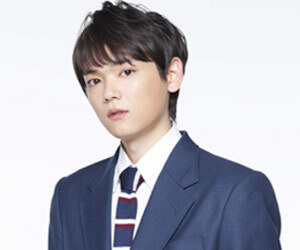 Yuki Furukawa (Naoki Irie) supposedly shot to fame with this show. However, I found it hard to believe that girls were going gaga over this Naoki. No doubt he acted well. He looked grumpy and disinterested, just the way Naoki would, but looks wise, he was the least attractive Naoki for me. In fact, Kashiwabara Takashi, the actor who played Naoki in the 1996 series is far better looking than Yuki. This show hardly has any bad weights. I am glad that the makers worked hard on doing justice to all the characters of the show. I simply loved the Japanese version and I give this show 4 out of 5 rating. If you ever wish to watch a J-drama then do watch Mischievous Kiss: Love In Tokyo. It is hilarious and extremely likable. The Taiwanese version of Itazura Na Kiss is titled ‘It Started With A Kiss’ and was first telecast in 2005. The male lead is known as Jiang Zhi Shu played by Joe Cheng and the female lead is known Yuan Xiang Qin played by Ariel Lin. Sadly, the show quality is poor compared to the other dramas. Even though the show’s poor visual resolution makes it seem dull it is still worth watching. The best part about this show was that Zhi Shu becomes more caring and loving towards Xiang Qin after their marriage. The sequel shows how romantic he is which in a way implies that this positive change may be because of Xiang Qin. It shows how she changed the emotionless robot into a loving husband. Zhi Shu was the most emotive version of Naoki. I know he wasn’t supposed to emote a lot but I really liked the fact that he smiled more than the other versions. The chemistry between the two main leads was simply amazing. I can’t tell you how many times I searched the net to see if the main leads Joe and Ariel were dating in real life because they excelled in romantic scenes (there is plenty of romance in the sequel). 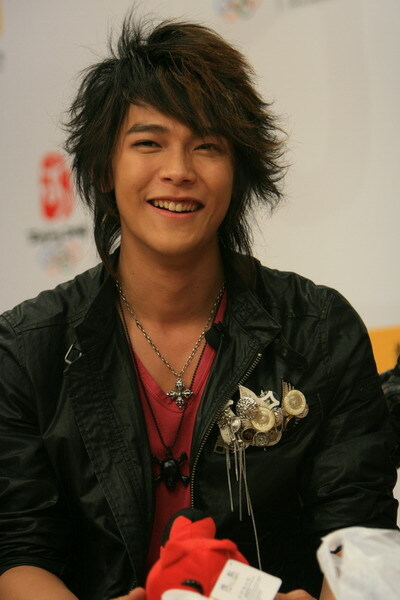 Jin Yuan Feng (Ah Jin), played by Jiro Wang, was the best second lead of all adaptations. At least he was the least annoying. He acted so well that I actually felt bad for him. At one point I hoped Xiang Qin would ditch Zhi Shu and go with Ah Jin only because he was able to convince me of his love for her. However, the credit can also be given to the length of the show. Since it had more episodes than any other version it could do full justice to his character and the storyline. The Taiwanese version is most detailed because it is the longest with 30 episodes in season 1 and 20 episodes in season 2. So most of the characters were well-developed which brought a lot of clarity to the story. The production value of the show was extremely poor. The show’s audio and video quality was so bad that at it annoyed me. Thankfully, the show was well-written to keep me going. Other than the production value I have no complaints with the show. The cast acted well and it was full-on entertaining. I give the show 4.5 out of 5 rating. If you really want to know about the manga Itazura Na Kiss or if you enjoyed any of the other versions then this one is surely worth your time. Itazura Na Kiss may be criticized by feminists who believe that the female lead is shown to be weak and dumb. I too felt offended initially but then aren’t shows meant to entertain us. Not all shows have the perfect message for its viewers. This show must be watched purely for entertainment. If you are looking for a story with a good message or moral then please do not look this way. Playful Kiss, Mischievous Kiss: Love In Tokyo and It Started With A Kiss must only be watched as light-hearted romantic comedies. Period. The Thai version of Itazura Na Kiss title ‘Kiss Me’ released in 2015. In case you are crazier than me and want to catch that adaptation in addition to those mentioned above then you check it out too.